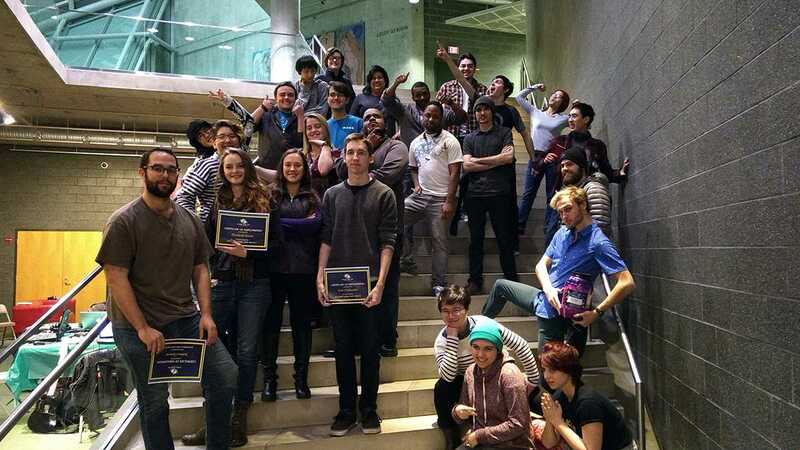 The Global Game Jam is the world’s largest game creation event taking place around the world at physical locations. 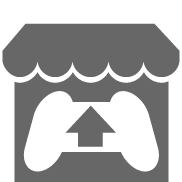 Think of it as a 48 hour hackathon focused on game development. Over the weekend, we have between 40-60 students, game devs, and community members come together to create tabletop, VR, local multiplayer and single player games. 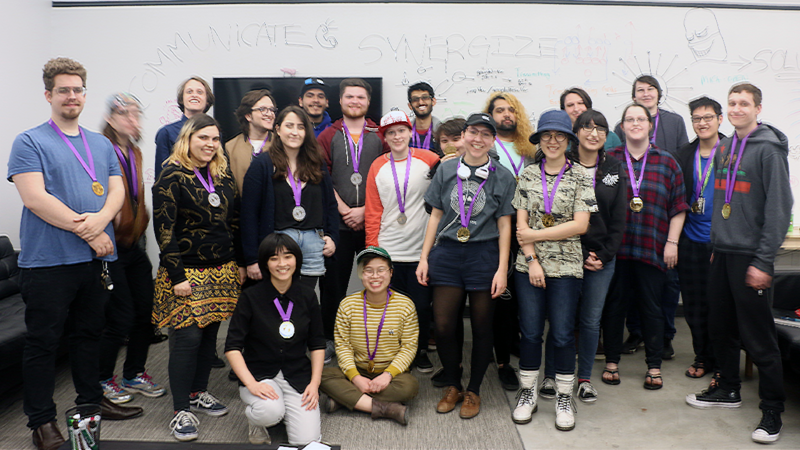 The Global Game jam is an inspiring weekend for game designers to come together, practice their craft and build community.